Haven’t started your email list? Read this primer first. If you’re a blogger or creative entrepreneur, this list of 10 email ideas to send to your mailing list will help you. Yes, you can email your latest blog post and keep it simple. But at the bare minimum, I recommend also emailing a personal update or story. An email, by nature, is much more personal than other mediums. So it’s a great opportunity to create a closer connection to your audience. 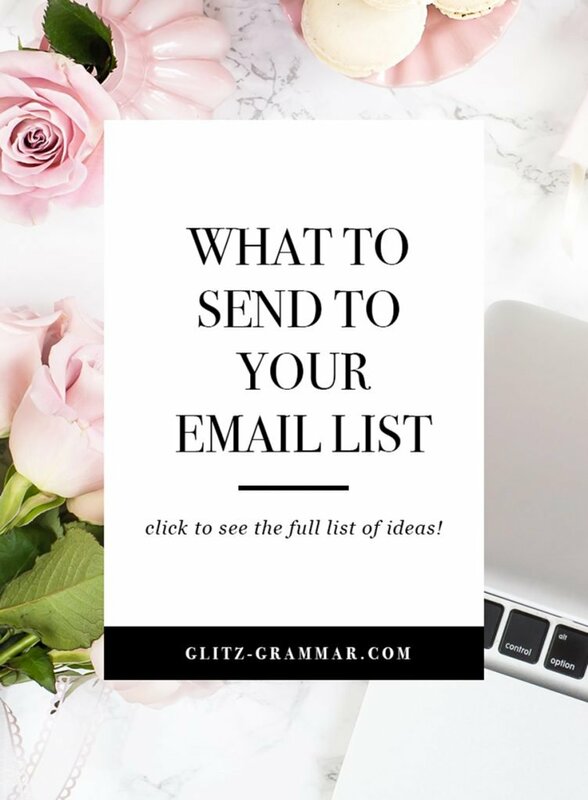 It’s an email list idea I’d recommend including in all of your emails as it will help engagement and will help your audience get to know you better! Don’t overcomplicate this: just a few sentences with your update is just fine. You should absolutely be emailing your latest blog post in every email. Even if you promote it on social media. You don’t know if your followers saw your update on social media, or if they check your blog on a regular basis. And with all of the algorithm changes on Pinterest, Instagram and Facebook, they could have easily missed it! But email is a direct connection to your audience and most people see at least a 20% open rate! You can either talk about the post or include a short excerpt so you don’t have to do any additional writing. Part of being a helpful resource is being as resourceful as possible and making it easier for readers to find your content! Email your list some blog posts they may have missed; you can do this on a weekly basis or, send out a dedicated roundup email. For example, if for some reason your latest blog post didn’t go out, you can send out an email rounding up some favorites (with a theme, of course) that readers could check out. Maybe you’re emailing a roundup of your favorite summer recipes or spring outfits, just be creative and make sure it’s helpful to your audience. You could also make it a habit to include old blog posts that are related to the newest one. Either way, it’s great practice and another way to keep circulating that content! 4. Sale Alerts, Sale Alerts! If you’re doing any affiliate marketing, or marketing your own products and services, you can email your list sale alerts. This may be a roundup of the week that includes discount codes, or an exclusive discount just for your email list. The latter is a great incentive to get people to sign up for your list, as they’re getting rewarded with special discounts! And if you do a weekly sales roundup to affiliates or other products, make it a best practice to email your list first before doing a blog post. That way, your list is again being rewarded first. You don’t have to know it all to be a leader in your space. In fact, most of us connect more with people that “keep it real” and show us their mistakes and how they’ve learned along the way. I could write an entire book of blogging mistakes I’ve made, and I’m sure you could do the same for your business. A lesson, whether big or small, is always helpful. So go ahead, make yourself a tad vulnerable and tell us about a lesson you’ve learned, I’m sure your audience will appreciate it. By nature, we are all curious about what’s going on in other people’s lives. 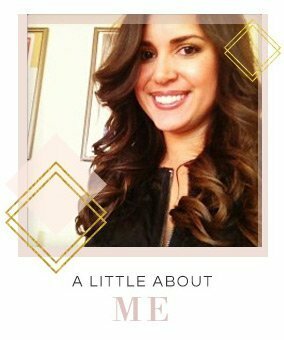 One email list idea is to share a behind-the-scenes peek at what’s going on in your blog/life/business. If you’re a designer show us the new patterns you’re looking at for next season’s collection. If you’re an influencer, show us your new branding you’re working on. A behind-the-scenes email helps create a connection and lets people feel even closer to you. Your list should be a special place that makes people want to be on it! Keep it that way by going the extra mile and sharing things like a worksheet, e-book or checklist you’ve created that helps your audience in some way. When sharing downloads, make sure you share the direct link so you’re not directing someone to sign up for your mailing list again. If the freebie is in the newest post, I’ll try to remember to send out the link to the post + a direct link to the freebie just to my email list they can access right away. Hosting a giveaway on your blog, social or just for subscribers? That’s something I’m sure your email list would appreciate! You can run a “just because” giveaway and give items like Starbucks or Amazon gift cards. Or, make your own giveaway for a chance to win some of the products and services you offer. It’s a great way to remind people of what your offerings are and can help grow your audience! Even better: Go the extra mile and team up with someone for the giveaway. This way, you’re helping each other grow your audience’s, for even larger reach! 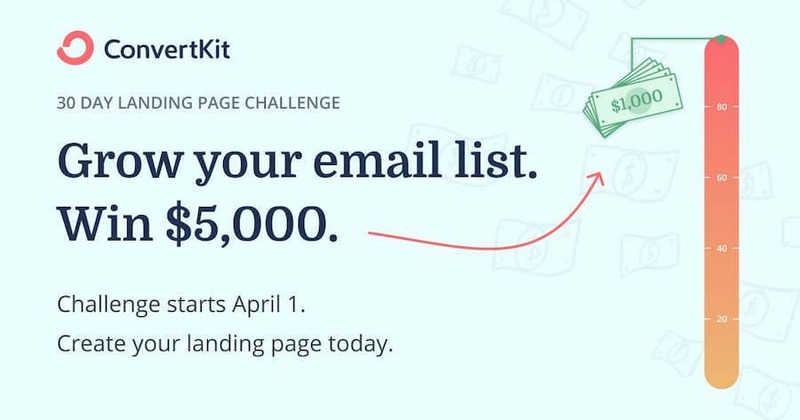 Speaking of giveaways: ConvertKit, is doing a FREE 30-day Landing Page challenge where you can win $5,000 and other fun prizes! Sign up here. If you’re a business blogger, you may want to consider emailing income reports. 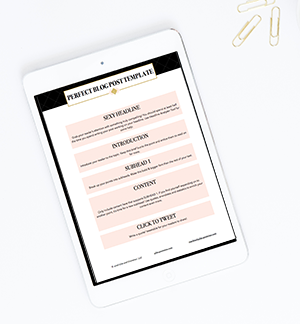 Many bloggers are now choosing to share this only with their email subscribers as a way to keep it more private, and as an incentive to get on the email list. Is there an upcoming special event your audience may be interested in? Or perhaps a webinar, conference or in-person party they should know about? Share it! Even if it isn’t hosted by you, you are providing a service to your email list by helping solve their problems and being the ultimate resource. Just be sure to only ever recommend things you wholeheartedly believe in and that you feel would truly benefit your audience. 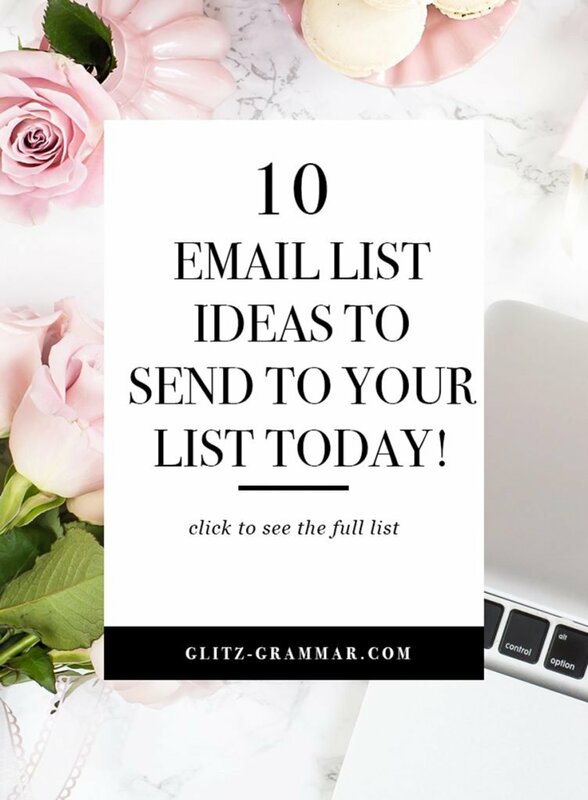 Hopefully these 10 email list ideas will help you keep your emails full of content your audience will absolutely love!